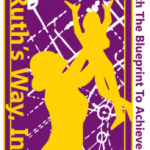 This Cyber Monday, do your regular Amazon shopping at smile.amazon.com/ch/20-2724398 and AmazonSmile donates to Ruth’s Way Inc.!!! Yes, it’s really THAT simple!! !